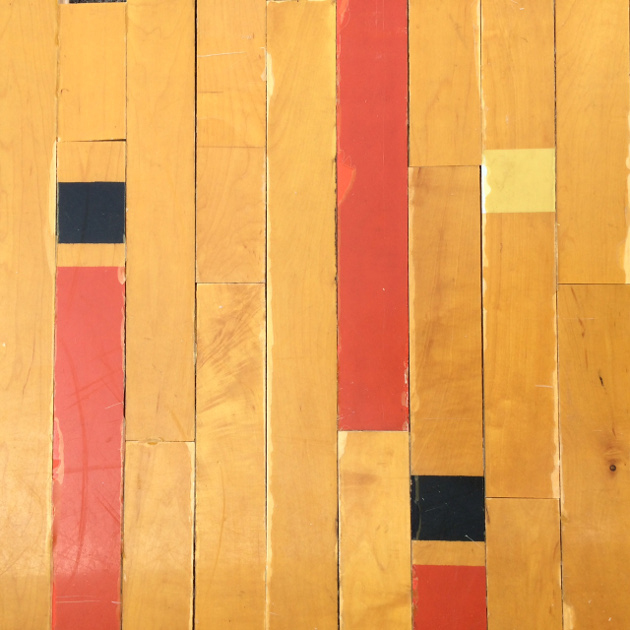 Salvaged from the Boeckman Middle School in Farmington, MN, this gym floor’s original black, red, orange and blue paint lines have been reshuffled into a confetti of colorful stripes and marks. 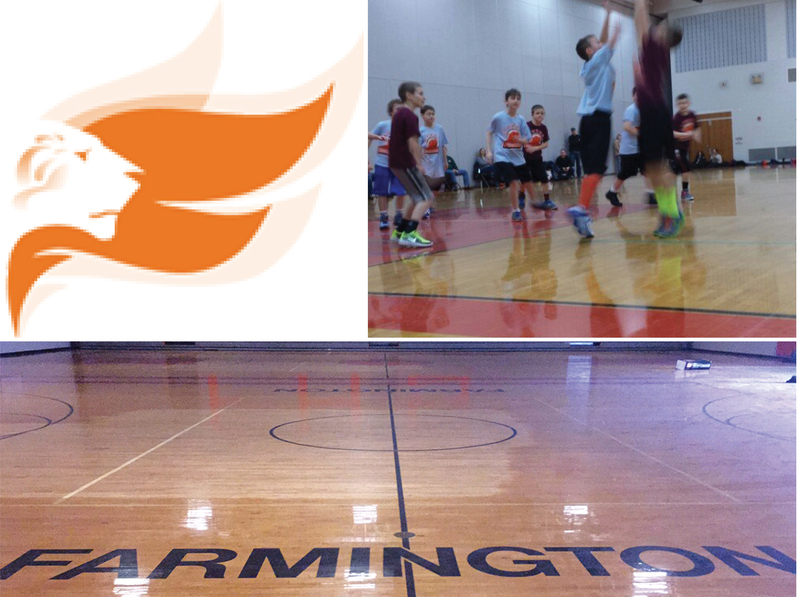 Like most gym floors, the material is a high grade of maple with an amber finish. The original tongue and groove remains intact. Price ranges from $9.45–$12.95/sf original finish. As-found Tongue & Groove (TG). Some areas of damage may be included. 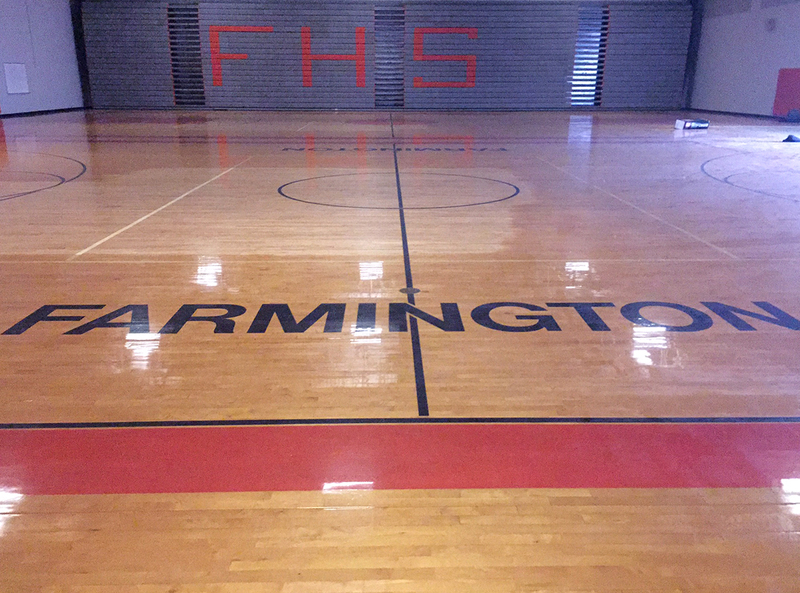 Originally Farmington High School from 1974 to 2009, Boeckman’s gymnasium saw over three decades of use by the Farmington Tigers. Farmington is an old community which was on the map before Minnesota was even a state. Interestingly enough, according to the town’s website, it was named after our East Coast base of operations, Farmington, New York.